Arrived on the day asked for. Brilliant. 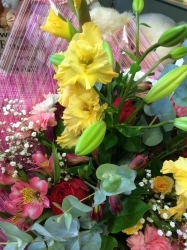 I have not seen the flowers as I don&rsquo;t live in Ireland, but delivery was on time, and driver very friendly, my mum was thrilled to bits with them. In her words &lsquo;they are alsoloutely beautiful and such pretty wrapping&rsquo; nothing left to say apart from, thank you to Mitchell Flowers! Delivered to mum's exactly as requested and mum says they are gorgeous. 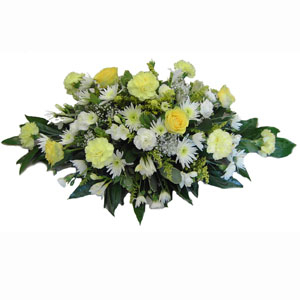 The most beautiful of flowers always with swift delivery! Míle buíochas! Good service and the flowers were beautiful. Mum loved them. Thank you. Excellent! Great service and the flowers went down a treat! Thank you!